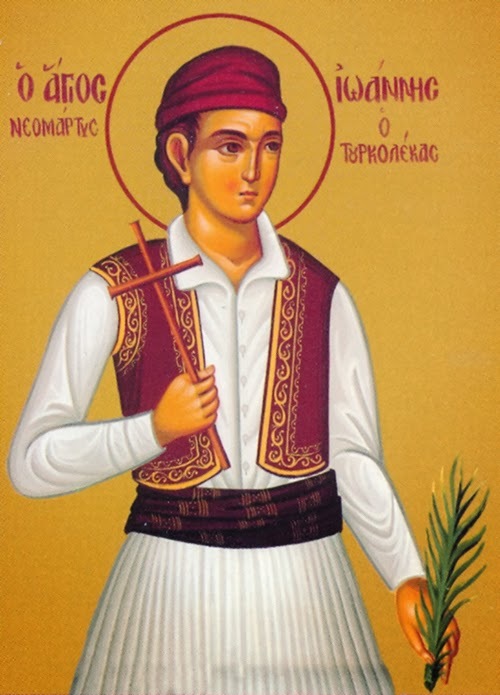 The neomartyr and child-martyr Saint John of Tourkoleka was born in 1805 in the village of Tourkoleka in Arcadia. His family was distinguished for their devotion to God, love for the motherland and their heroism. His father was Stamatelos Stamatelopoulos - Tourkoleka, a famous fighter in the area of Leontarion, and his mother Sophia was the sister of the wife of Theodoros Kolokotronis. Among his four brothers was the well-known chieftain Nikitas, known as Nikitaras the Turk-Eater, and the teacher of military tactics and erudite captain Nicholas. In 1816 John, eleven years old then, together with his father and the Reader, son of the fighter Parnonas Zacharias, while traveling to Kythira, due to rough seas they ended up in Neapolis of Lakonia. The Aga of that region was Hussein, who fraudulently arrested them and sent them to the uppermost Turkish ruler of Monemvasia. There the arrested were imprisoned in the castle. The ruler of Monemvasia then requested instructions from the voivode of Mystras, who ordered for the decapitation of the three prisoners. The Reader and the father of the Saint were beheaded. "They suggested to my brother to change his faith. Showing to him his slain father they told him to 'sit down so we can make you a Turk'. The child then did his cross and responded: 'Where my father has gone I am going also.' They said to him again: 'Become a Turk'. The child however did his cross again. By his blood he became a cross. They took their heads to Tripolitsa." 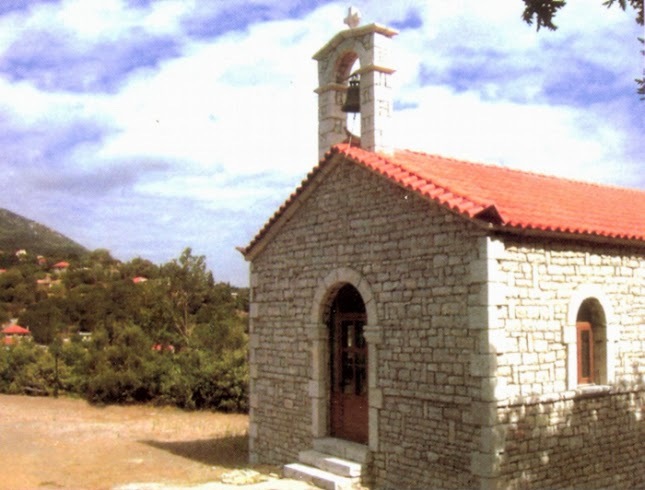 The slaughter of the three took place on 16 October 1816, outside of the Sacred Church of Christ in Chains (Ελκομένου Χριστού), in old Monemvasia. 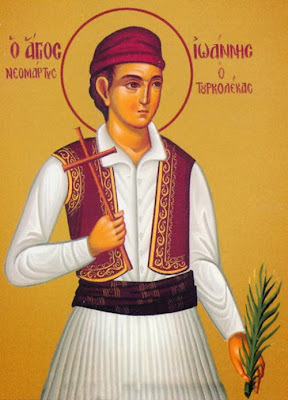 There, on the floor of the courtyard of the church, the blood of the child-martyr and neomartyr John formed a Cross, and in this way was revealed the glorious entrance of the Saint into the Kingdom of God and his induction into the chorus of Martyrs. The heads of the neomartyr John, his father and the Reader were sent to the Pasha of Tripoli, and their bodies were buried in Monemvasia, and until today the place of their burial as well as of their heads and bodies remain unknown. The sign of the Cross, which is on the floor of the courtyard of the Church, was formed by the martyric and pure blood of Saint John, and became a source of strength for the enslaved Christian Greeks and a sacred place of pilgrimage for the faithful.